This Christmas season, the most magical time of the year, the Andrey & Julia Dashin’s Foundation is pleased to announce the launch of its new festive charity cause “Letter to Santa Claus“, as part of the festive Christmas and New Year’s charity campaign, which will be taking place from December, 2014 through January, 2015. What is this cause about? During the Christmas and New Year’s season, where festive preparative works fill the atmosphere with Christmas magic, every child and adult is in anticipation of something special, and of course gifts. Unfortunately, due to the economic hardship and the difficult financial situation his or hers family may be going through, not every child will have the opportunity to receive the long awaited present. This is so unfortunate, because Christmas and New Year’s are perhaps the most celebrated holidays of all and the unique memories they impart are deeply imprinted in all of us and especially in children. The Foundation rightly believes that every child deserves a slice of kindness and happiness in the spirit of this wonderful holiday. 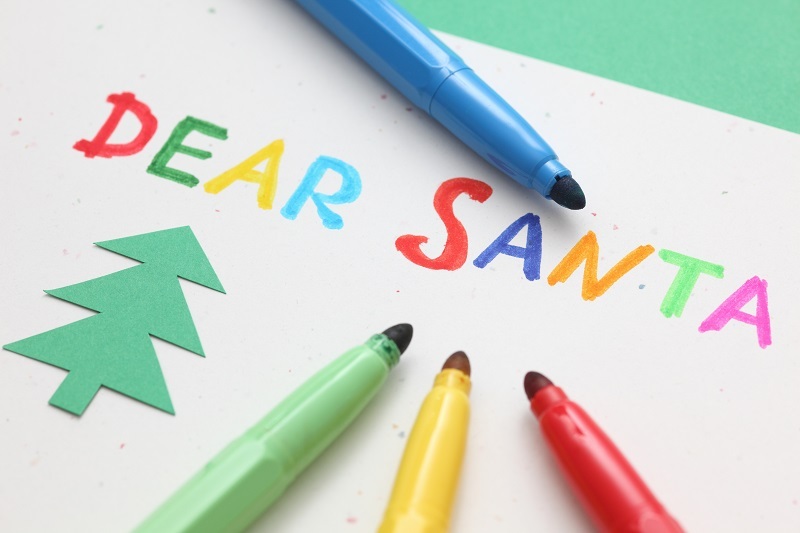 The cause “Letter to Santa Claus” aims to help parents create that special atmosphere for their child, especially when this is not possible due to unfavorable financial circumstances. Every child lives the Christmas season in suspense and expectation of that one special gift from good old Santa, or at least from their loving family. Some families may have the opportunity to make that wish come true, but some unfortunately don’t. With this, the Andrey & Julia Dashin’s Foundation is happy to offer a helping hand and invites all boys and girls to participate in the cause “Letter to Santa Claus”! *The Foundation shall be sending a gift in reply to the child’s letter. Unfortunately, not all wishes and dreams can be fulfilled. The Foundation will try its best to send out all the presents requested in the Letter to Santa. In the event that the request cannot be met, the Foundation will provide a replacement gift at its discretion. How can I participate in this cause? All it takes is for one to write a letter! This cause is open to children of all school and preschool ages*. The letter may be written in any format and theme. Illustrations and pictures are more than welcome. The letter needs to be hand written. Length of the letter should be no more than one A4 page. The letter needs to be accompanied by the parent’s/guardian’s consent, via a signed Application Form. *There are no strict age restrictions, but (!) the belief in Santa Claus is usually limited to primary school classes. To whom shall the letter be addressed to? The letter needs to be addressed to Santa Claus, of course! The letter may be sent via email, fax or to the postal address of the Foundation. When and how shall I receive a reply to my letter? If you are located in Limassol, you may collect the gift from the offices of the Foundation. For applicants from other cities, we can arrange delivery by courier to the specified address. Please kindly note that the Foundation shall be contacting the applicants to collect their gift and that collection from the Foundation premises is strictly on appointment basis.